Remember Katrina? The lady who won $42 million (R 543 244 800) at a casino but was offered a steak instead of her jackpot? Well, she is back and is suing the casino for the whole jackpot. Katrina Bookman hit the jackpot last year in August at the Resorts World Casino in New York and took a selfie showing the machine saying "printing cash ticket $42,949,672.76". When she went to claim her winnings, the casino claimed it was a machine error and offered her a $2.25 steak meal on the house instead. She left disappointed but after months of trying to get her money from the casino, Katrina decided to sue. According to CNN Money at the time, the Resorts World spokesman Dan Bank apologized and told CNN that "casino personnel were able to determine that the figure displayed on the penny slot was the result of an obvious malfunction -- a fact later confirmed by the New York State Gaming Commission." 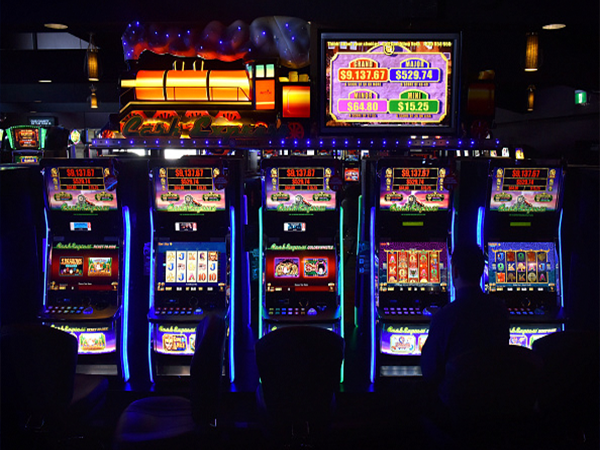 The New York State Gaming Commission also said in August that the machine displayed a disclaimer stating: "Malfunctions void all pays and plays." Katrina’s lawyer, Alan Ripka, claims that he has been trying to get details from the casino about what caused the slot machine to malfunction, but has not received any information. "You can't claim a machine is broken because you want it to be broken. Does that mean it wasn’t inspected? Does it mean it wasn’t maintained?" Alan told CNN Money. Katrina told Daily News she went numb when she realised that she had won but was disappointed when she didn't get her money. “There was nothing wrong with it when I was playing the machine,” Katrina said. “How do we know when there’s a problem with it? Once I hit something, now you’re going to say it’s a problem. I totally don’t think that was fair. Alan said the casino should honour the advertised payout. He said the casino used the same broken machine to take money from players, and that everyone who used the machine should at least get their money back. “She thought her life and family’s life would have been changed forever.